Mountain bikers have the priviledge of experiencing one of the world’s most beautiful wine estates during the FNB Wines2Whales. Nestled in the basin of the Helderberg Mountains, the 4000-hectare Lourensford Estate has many gravel trails and pristine single tracks with scenic climbs, flowing paths and thrilling descents among vineyards, forest, fynbos and fruit orchards. The spectacular setting in Somerset West is as ideal for making world class wine as it is for mountain biking, so it should come as no surprise that Cellarmaster Hannes Nel will be among the riders when the FNB W2W returns to Lourensford for the 10th year in late October 2018. Lourensford General Manager Koos Jordaan says through the partnership with W2W, the estate has been able to give riders access to what he believes are some of the best and scenic trails in the Western Cape and the exclusive opportunity to experience Lourensford‘s majestic beauty. Stage 1 of the FNB W2W will take riders on a journey through Lourensford along trails such as Schoemans, Witboom and Canary before moving on towards Oak Valley Estate in Elgin. Better, faster flow can be expected after recent reconstruct of specific sections and the addition of berms, as well as two new sections: JK’S Contour and Old Pines. More open roads between the single track, which starts 12km after the start, ensure sufficient passing zones. The elegant new flagship range, Chrysalis, is the culmination of years of dedication and passion to capture the essence of Lourensford’s unique terroir in a wine. Wine bottle labels also provide an opportunity to celebrate Lourensford’s natural riches: both the River Garden Classique and River Garden Flower Collection ranges are inspired by the pristine Lourens River running through the estate and the award winning gardens planted and curated by the legendary Keith Kirsten; the new Limited Release labels display subtle references to the Fish Eagle, Cape Mountain Leopard, Caracal, Owl and Duiker that make their home on Lourensford. Even the popular Dome Chardonnay and Dome Pinot Noir wines reference the highest peak of the majestic Helderberg mountain which overlooks the estate. Registered FNB W2W participants looking to get a Stage 1 preview and a sneak peek at the natural wonders of Lourensford are invited to two 25km Pre- rides on either Sunday, 30 September or Sunday, 14 October. The Pre-ride registrations are at 8.30am at the Coffee Roastery Company and entry costs R100, which includes a bottle of River Garden Classique Shiraz 2016. Rider registration for FNB W2W happens from 2pm the day before each race on Thursday, 25 October (Chardonnay), Sunday, 28 October (Pinotage) and Thursday, 1 November (Shiraz) at the Lourensford Winery. “I am looking forward to this year’s race and being able to share the trails I love so much with my fellow riders. Having unveiled some spectacular new releases this year, including the flagship Chrysalis White Blend and Chrysalis Red Blend as well as The Dome Pinot Noir, I also hope everyone takes a few minutes to explore our delicious wines on offer at our winery and takes home a bottle or three for post race celebrations!” quipped Hannes. All current vintages are available in The Wine Tasting Centre, where adventurous visitors can indulge in specialised wine pairings. The winery is open Monday to Sunday 9am until 5pm. Flagship Chrysalis Tasting (R45) – Taste the estate’s newly released Chrysalis Red Blend and Chrysalis White Blend. Come and discover the releasing of this rare “butterfly”. Belgian chocolate and Wine Pairing (R90) – Limited Release Chardonnay with Orange Dark Chocolate, Lourensford Estate Merlot with Dark Cherry Chocolate, Lourensford Estate Shiraz with Dark Chili Chocolate and our unique Honey Liqueur with Dark Mint Chocolate. Blind Wine Tasting Challenge (R45) – Accept the challenge of being poured 4 wines and try to identify them. If the group identifies them correctly, you get your tasting for free. The vibrant market, housed in a permanent structure, boasts 70 permanent stalls and a number of Pop-Ups. Visitors are spoiled with sprawling lawns, majestic trees and landscaped gardens to enjoy the quality products that are our priority. You will discover everything from delectable food, handmade wares and art, to organic, artisanal produce. Chef Bjorn Guido’s goal with the Millhouse Kitchen is to create a neighbourhood feel where guests can relax and enjoy each other’s company in the beautiful setting of the Lourensford Estate. The menu is inspired by the French and Italians, famous for their fantastic rustic dishes. They make use of fresh, simple and seasonal ingredients available within a 50-km radius of the Lourensford farm. The Coffee Roasting Company is South Africa’s single- origin pioneer where our coffees are roasted by hand and in small batches. Open 7 days a week, be sure to visit and enjoy great coffee tasting talks, watch coffee being roasted, receive advice from their roasters and become part of an ever-growing family of coffee lovers. The Red Riding Hood Deli offers a variety of freshly baked cakes, quiches and muffins. All goods are made using only free-range eggs, real butter and pure spices. They also have a lovely selection of gifts and equipment. 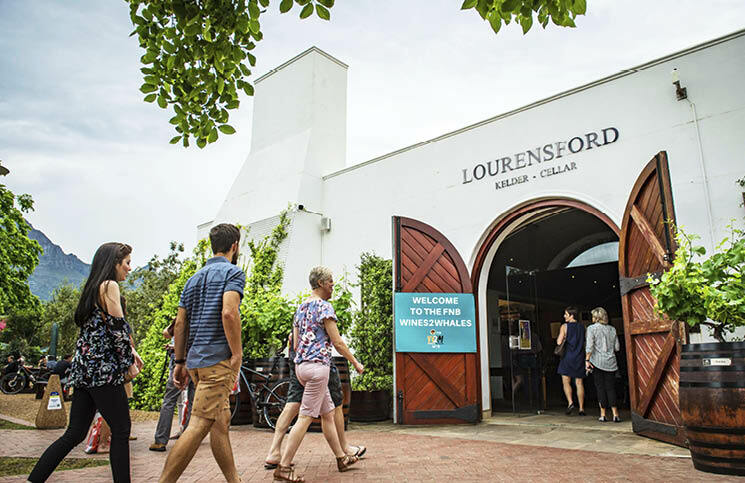 The Lifestyle shop is situated in the heart of the beautiful Lourensford Wine Estate. This Healing Hub at Lourensford consists of Life Retreat Studio, Spa, and Lifestyle Shop. Our world class spa offers you a variety of treatments, modalities, therapies, and consultants in the fields of beauty, aesthetics, health, healing, family wellbeing, pampering, and lifestyle assessments.